Product categories of Juicers, we are specialized manufacturers from China, Juicer Machine, Slow Juicer suppliers/factory, wholesale high-quality products of Juice Extractor R & D and manufacturing, we have the perfect after-sales service and technical support. Look forward to your cooperation! 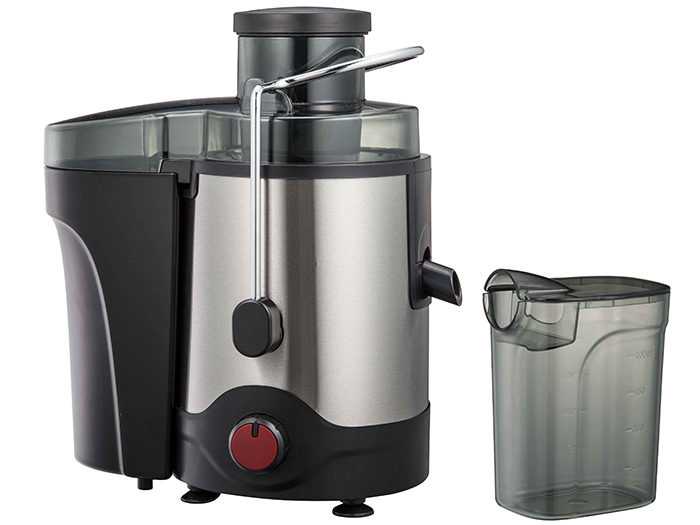 Juicers are machines that can quickly squeeze fruit and vegetable into juices. Juicers including Power Juicers, Slow Juicers and citrus juiers. The working principle of the juicer is to start the machine so that the motor drives the knife net to rotate at a high speed, pushing the fruits and vegetables from the feeding port to the knife net, and the spike of the knife net will cut the fruit and vegetables. Under the action of the centrifugal force, juicer produced by the high speed operation of the knife net, the pomace flies out of the knife net into the slag box, and the juice penetrates the knife net into the juice cup.